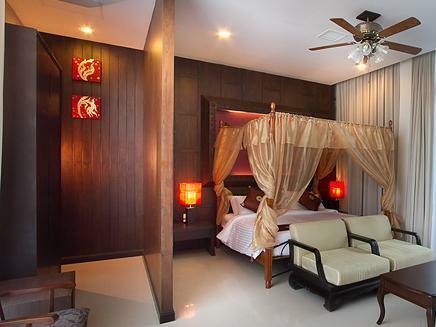 ﻿ Royal Thai Pavilion Hotel, Pattaya | FROM $50 - SAVE ON AGODA! "The staff were friendly and professional." Have a question for Royal Thai Pavilion Hotel? "I am especially happy for the in-room facilities having the microwave oven and cooking bench which is very convenience." 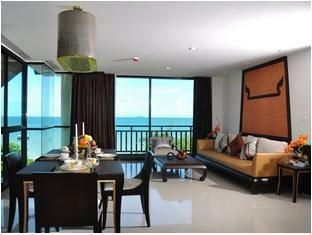 "Large room, nearby the beach, value for money"
"Quiet place down on Jomtien beach." 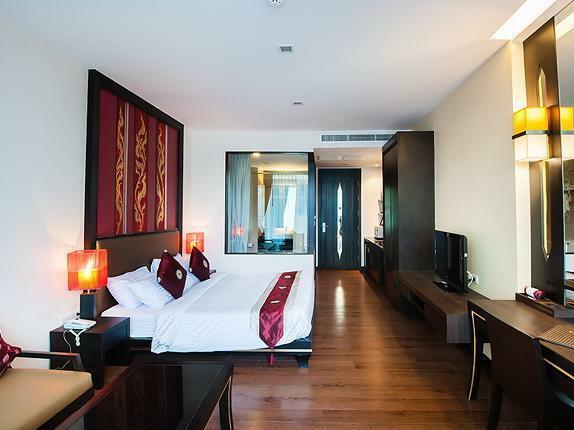 Ideally located on the renowned Jomtien Beach of Pattaya, this 4-star beachfront property features 32 tastefully furnished guestrooms. 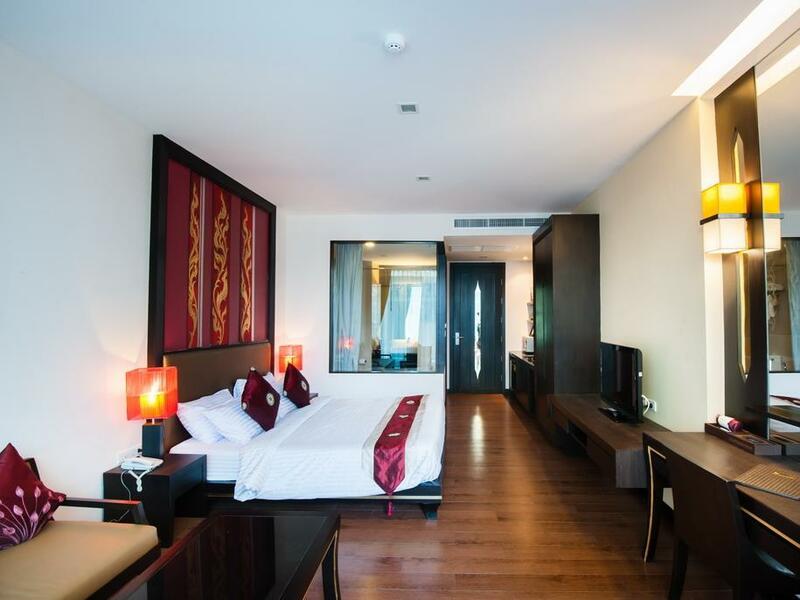 Each room is fitted with a blend of traditional Thai and contemporary décor along with all modern day facilities to provide guests with utmost comfort. Guests can choose to indulge in exploring the city’s famous nightlife, fill the days with a host of activities such as jet skiing, kayaking, snorkeling, fishing, or simply lounge around on the golden beach. The best part is that the inexpensive public transport makes it easy to access all the areas in this popular resort town. 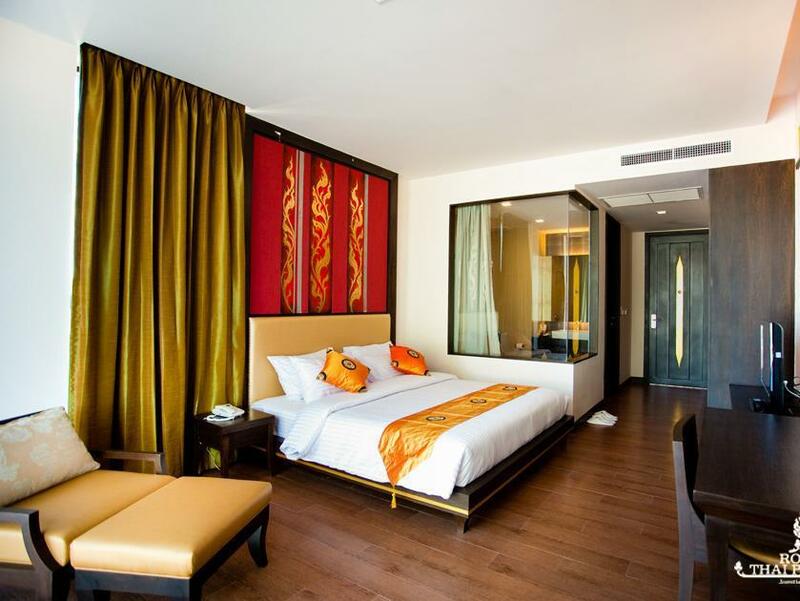 Boasting a central location, a dedicated staff, and first-rate facilities, Royal Thai Pavilion Hotel has long been a favorite among travelers. 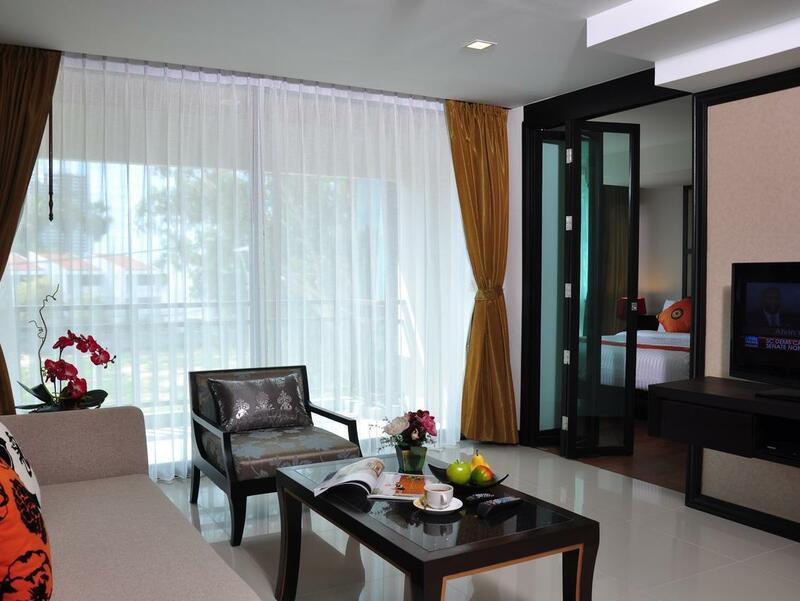 "Nice hotel at the end of Jomtien Beach road with nice beach..."
The property requires a refundable security deposit of 1,000 THB upon check-in. The hotel is good location but hotel services must be improve, The location is so great that have a lot of Thai Seafood's & restaurant around the Hotel but not good services if you return to the hotel after 2400 am that you cannot get some additional hotel stuff in-needed. At check the front office staff could not find my booking for Junior sea view suit. It toke 25 minutes until they find my booking. Lazy staff at the front desk with an attitude. The room was nice and spacious and clean with a glimpse of the ocean. Well maintained property with parking facility. The negative part was they charge me 450 THB for an broken wine glass at the room its not they are using Dartington Crystal or Riedel, Beware they have regulation everywhere. We are overall satisfied with our stay. Only negative was the cold pools and that we were charged 170 baht for a broken plate that our baby child happened to drop. The plates were not worth that much and I think it's a little greedy to charge us for that. I asked reception if we could check out at 13:00 instead 12:00. If we stay one hour extra have to pay 300:- baht. Decided to go down to reception and check out at 11:50 and there was a huge que. Waited for 25-30 minutes until I could check out. My idea was to stay in the room for a bit as I felt feverish and the reception is outside - no air-conditioning. Nowhere to sit either as all seats/sofas occupied. If you decide to stay in this hotel, don't eat breakfast in this hotel. The only thing that this hotel needs to upgrade is their beds. It is very hard and firm. Not a good night sleep at all. Quiet place down on Jomtien beach. Personal are super. Good bed, balcony where u can sit. Water in pool very freshing. Fitnessroom need ac or fan. Wifi good. We enjoyed our stay at this hotel. The rooms were a nice size, decent powerful shower and nice views of the beach from both sides of the room. The staff at reception were helpful and attentive. The beds were a little on the firm side and pillows very big but still managed a good night sleep. Having to update the wi-fi password on a regular basis was a pain but not a major issue. The only negative was the breakfast, I had the English breakfast which looked awful, the jam was the cheap donut filling and coffee was tasteless. I was booked in for 5 nights and decided to not to bother with the breakfast for the remaining 4 days. If you're looking for a good hotel next to the beach then I would highly recommend it. Breakfast was a let down though. Most of the staff do not speak English. When i asked to get a taxi, the bell man got me one which supposedly cost me less than 200 Bhat, instead charged me 300 Bhat. He made his commision from the taxi driver. If they were honest, i wouldn't mind tipping them for their sincere service. Unfortunately, the staffs were being dishonest and insincere. When i got a taxi back to the Hotel, just cost me 200 Bhat. Would never recommend to others, nor would i return to that hotel. Very disappointed. 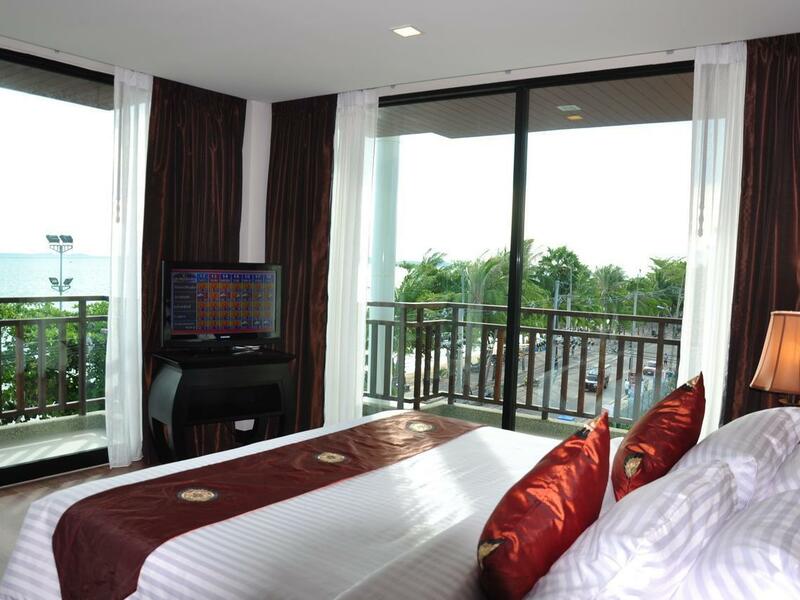 The hotel is located right opposite the quiet Jomtien Beach. There are 2 swimming pools at the hotel. The kids pool next to the gym was ideal for young children to play safely. Breakfast was average. The rooms were clean and the staff were friendly and helpful. Overall good for all aspects, the only thing is the room I got just at the corner and lowest floor. I do understand that due to short period of staying the hotel staff might arranged it as available. However the hotel is in nice location, clean, hotel's staff good, breakfast was good as four stars hotel. It's worth the money and recommended. Location is good, but staff performance was bad. I feel sad for hotel owner, they hire the staff to sit and sleep..... The door bell just watching at guests to carry their luggage by themselves. The front desk staff, always feel annoying of booking and mentioned "No booking show by Agoda" as we have printed and show to the lady.... The hotel is nice event it abit old....but I will not back to stay in this hotel no more...no more... keep your money to pay at other hotels. Cheers! ideal for if your looking for a quick getaway without the price tag !!! Smaller resort but everything was spotless. Breakfast was abit boring but for the price wouldn't complain. Shower design is flawed but hey they clean it. Room size is big and location is right on the beach. Staff were amazing. 10 baht gets you into Pattaya for the night life if that your thing, if not some of the local eateries were amazing. We have a very good time staying at the hotel,when we checked out we forgot our room deposit but hotel staffs are very kind to transfer our money back to our account. We are really impress about this. It's excellent hotel because this hotel have good service and easy to travel in many places from hotel to another place by minibus.Moreover,the hotel can walk to beach just 50 meter but it's so hot at noon. 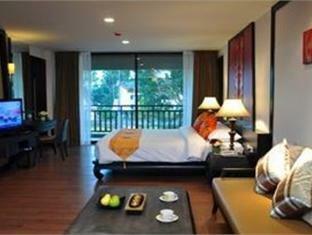 A great place to stay, however, if you want nightlife and partying don't stay on Jomtien Beach Rd. Royal Thai has a fantastic pool, great, helpful staff and a reasonably good breakfast - I've had much worse! It's right across the road from the beach, the room was very clean as was the entire hotel. Most of the staff speak good English and all were very friendly. Would go back. Nice and comfortable hotel. Big comfortable bed in a big room with living room seating. Very friendly and helpful staff. 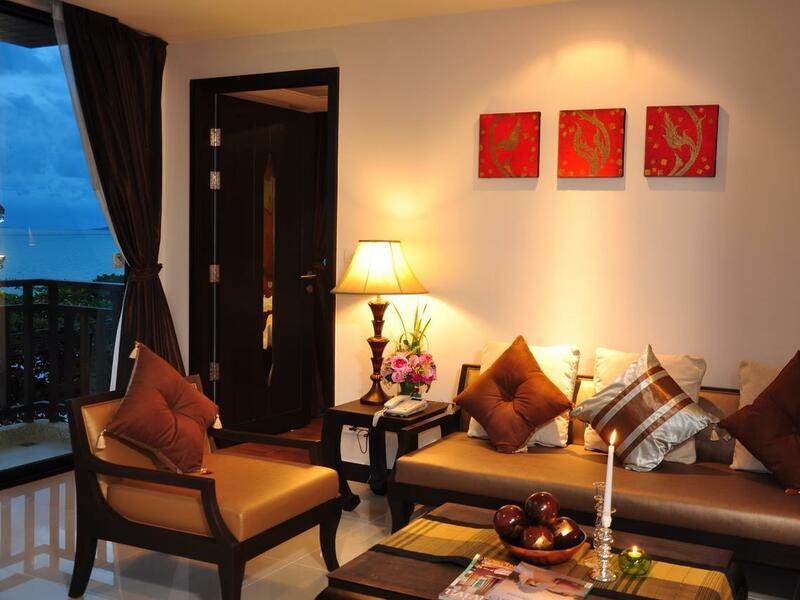 Just opposite beach in a quiet location @ Jomtien Beach. Taxis to Beach Road available but sometimes you need to wait 10' till one passes by. Rather remote already and good for quite time seekers. The first two days were ok because I thought they would provide me with a voltage transformer as requested. After waiting several days they never told me anything. Apparently, Thai people behave this way so I do not know this incompetence e was unique to this hotel. I overlooked the fact that when I first opened my bed sheet to find a squashed mosquito. This was the beginning of other issues down the road. I did not find out that restaurant had no cook until the second day (they only serve breakfast but it is brought in from somewhere else and it is nothing to get out of bed for). There was one front desk person that was extremely rude to me with every interaction. She acted like a retired bar girl (very rough around the edges). The rest of the staff was nice but their English level was unacceptable. The bell boys knew better English and were more pleasant (which is why they received tips from me; I also tipped housekeeping each day). The following morning it was a disaster with screeching noise of a power saw cutting concrete. My ears nearly bled from the noise. Like many hotels in Thailand, this one refused to acknowledge the issues.